It also provides women with solutions to finance their purchase provided by leading banks and financial companies. 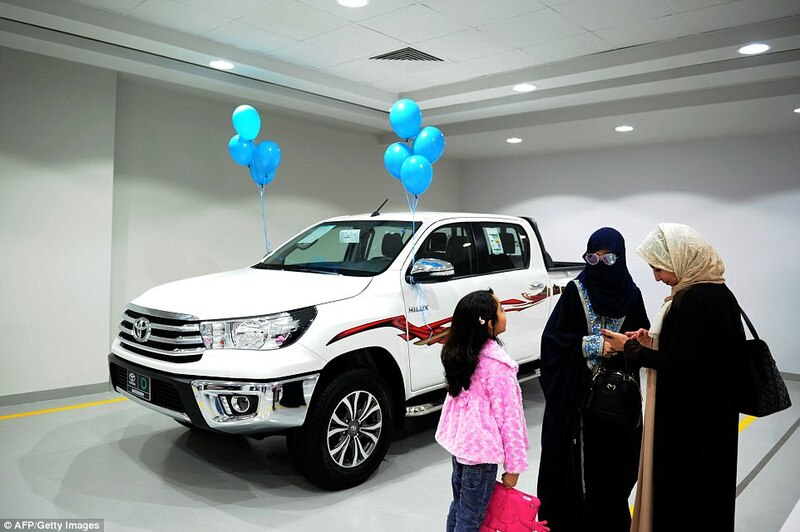 The company plans to open more automobiles showrooms for women in the oil-rich kingdom. Saudi Arabia announced in September that it would finally lift a ban on women driving , becoming the last country in the world to allow women to get behind the wheel. 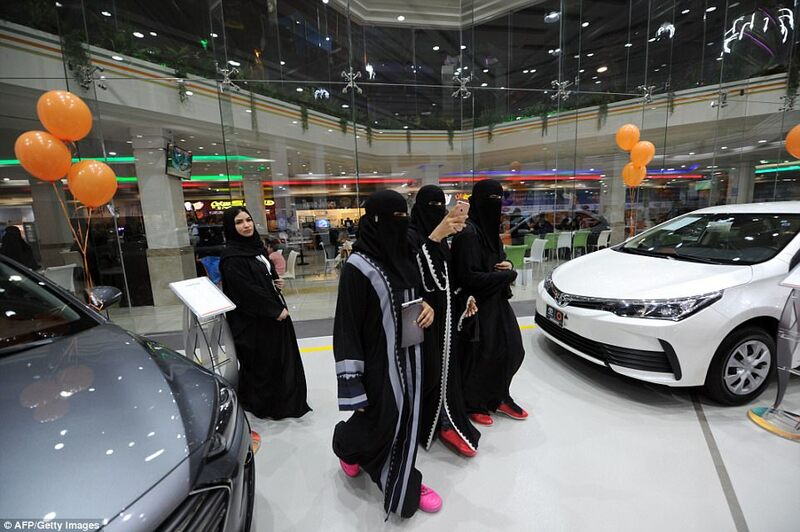 Activists had been arrested for driving since 1990, when the first driving campaign was launched by women who drove cars in the capital, Riyadh. In June, the kingdom plans to begin issuing licenses to women, even allowing them to drive motorcycles, according to local reports. It will be a huge change for women who have had to rely on costly male drivers or male relatives to get to work or school or to run errands and visit friends. Manal al-Sharif was one of the leading campaigners against the ban. She said she was an 'accidental activist' and now wants the Kingdom to abolish the system of male guardianship. Ms al-Sharif has written a memoir, 'Daring to Drive' about her campaign. In a country that adheres to strict gender segregation and an austere vision of Islam, the guardianship system requires Saudi women to get permission from a designated male family member on anything from travel to enrolling at university. Like the driving ban, the male guardianship 'has stopped a lot of women from pursuing their dreams', said Sharif, who has drawn comparisons with the late US civil rights activist Rosa Parks. To show how serious she is about her new campaign, Sharif rolls back her sleeve to reveal a plastic blue bracelet that reads 'I am my own guardian', alongside a picture of a car. In her book, Sharif charts her unexpected journey to rebellion, culminating in her arrest after she filmed herself driving and posted the video on YouTube as part of the 'Woman2Drive' campaign in 2011. Charged with 'driving while female', she spent nine days in jail in a case that sparked global uproar. With unflinching honesty, Sharif recounts the hardships she faced growing up in relative poverty in Saudi Arabia's holiest city Mecca and the struggles she encountered later on as a divorced single mother. She credits her strict parents with pushing her to excel academically, but also expresses anger over the painful female genital mutilation she had to endure as a child and the domestic abuse she suffered at home, as well as at the hands of her first husband. She admits to succumbing to radicalism in her youth, even burning her brother's Backstreet Boys cassettes in what she calls her 'extremist days', because she believed they were 'haram' or forbidden under Islam. Her top grades eventually led her to become the first female information security specialist at the Saudi national oil company Aramco, where women are allowed to drive within the firm's compound. But trying to get around outside as a woman 'who had no man in her life' was a constant battle, forcing her to rely on her brother, colleagues or taxi drivers. 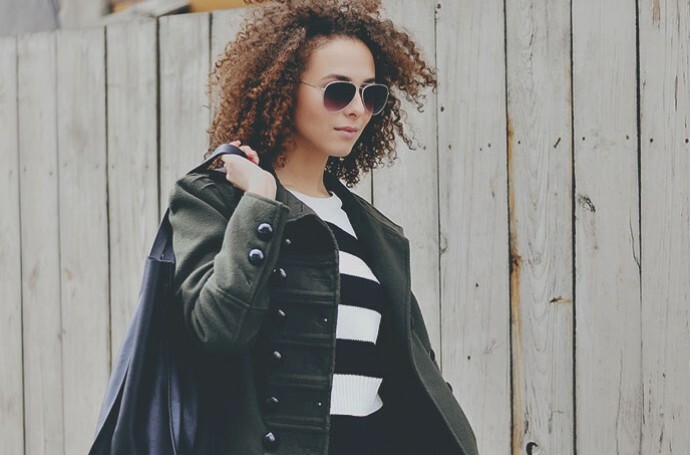 One day, after failing to find a ride after a doctor's appointment, she decided to walk home alone. But a car followed her along the way, leaving her terrified - and fed up. Emboldened by the Arab Spring sweeping through the region at the time, she decided enough was enough. It was time to drive. 'So it was really a personal struggle,' Sharif said.